Leaders of the Conference of Presidents give President Obama a letter adding their voice to recent public figures' requests to free Pollard. Leaders of the Conference of Presidents raised the Jonathan Pollard issue on Tuesday during a meeting with members of the Obama Administration, including the President himself. Malcolm Hoenlein, Vice Chairman of the Conference of Presidents, raised the issue during a closed session with members of Obama's team. Rabbi Pesach Lerner, Executive Vice President of the National Council of Young Israel, then presented Obama with a letter, pointing out that it speaks of the Pollard issue. Obama thanked him and promised to look at the letter. Our thoughts and prayers are with you during these difficult and challenging times. Please allow me to share with you the concerns of the members of this conference and many leaders of the Jewish and non-Jewish communities about Jonathan Pollard. 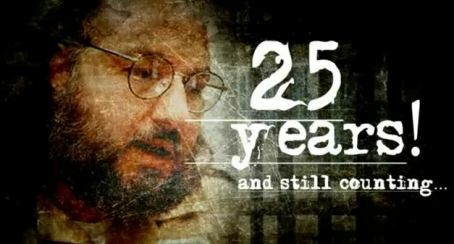 One of the conference participants noted that “Obama is now well aware that American Jews see the release of Pollard as a required basic step towards justice.” Another participant said that he is now “more optimistic” about the possibility that Obama will soon decide on Pollard's release. The letter by the Jewish leaders comes after dozens of government officials recently publicly called on Obama to free Pollard. These include former Vice President Dan Quayle, former senior U.S. Middle East negotiator Dennis Ross, former CIA director James Woolsey, former Chairman of the Senate Intelligence Committee Dennis DeConcini, and Federal Judge Stephen Williams. Former White House Counsel Bernard Nussbaum and Former Secretary of State George Shultz have both sent letters to the President, asking that he free Pollard. Most recently, Justice for Jonathan Pollard, the group that spearheads action for Pollard in the U.S., launched a Facebook page that is intended to encourage the participation of a large and diverse group of people, internationally and in Israel. A new campaign in the form of a 30-second long infomercial recently began airing on U.S. television networks. In the campaign, the American public is asked to call the White House and ask Obama to free Pollard.